Mayur Kapani's first job in an auto manufacturing plant in India opened the door for him to recognize how technology can transform business. He has since seen how its integration can help change the face of financial services. Today, he is the Chief Technology Officer for Intercontinental Exchange, overseeing the company's global technology infrastructure, which supports exchanges, clearing houses and data services. "I have always enjoyed how technology transforms business," Kapani said. "The financial industry has been a leading user of cutting edge technology and it's exciting to be so involved in helping to drive change across the industry." Because Intercontinental Exchange serves market participants worldwide and across asset classes, it is critical to understand how customers use the technology and integrate it into their workflow before the development process begins. "We actively solicit feedback on new technologies and features as part of our development process so we can minimize friction and ease integration with customer workflows," Kapani said. "If we don't understand how our customers are using our technologies and our data, and how change is affecting their business, then we in turn may miss an important feature that can help them. Our products and services must be end-to-end, integrated technology systems that are able to work around the world. We maintain the trust that we have built with customers by innovating and leading in what we offer." "Our culture encourages employees to take on more responsibility and grow with the company." 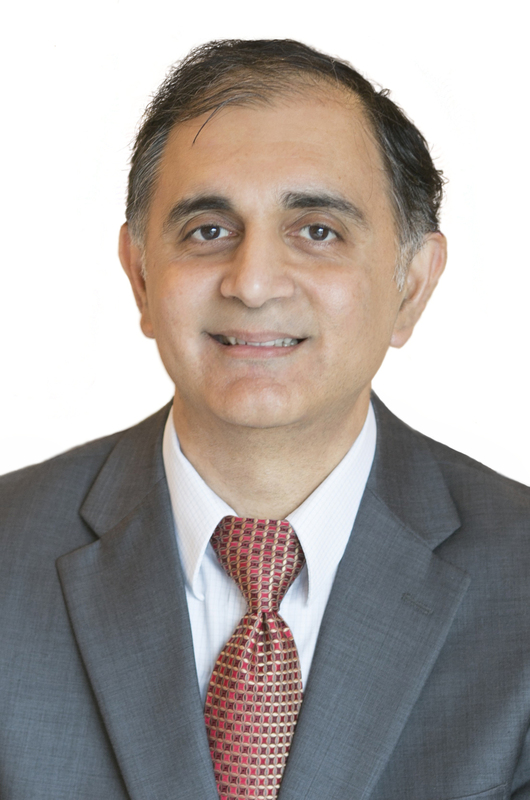 Kapani joined Intercontinental Exchange in 2006 following a decade at the Philadelphia Stock Exchange, where he was Vice President of Options Development, focusing on the development of several initiatives that included the transition of trading from a floor-based model to a high performance electronic platform. His prior positions as a software consultant, engineer and programmer analyst helped lay the groundwork for working on product development in a team environment. He began his career at ICE as Vice President of Trading Technology and was promoted to Senior Vice President of Derivatives Trading Technology in 2013. Kapani was promoted to his current role in May 2016 and today he also leads technology diligence on the company's acquisitions. Kapani cites the company's core values — collaboration, communication, problem-solving, professionalism & integrity, leadership — for helping him drive the company's success. "Our culture is a combination of entrepreneurial spirit, a passion for excellence and a commitment to serving customers," he said. "We continue to build on a cohesive team that solves complex and technically challenging problems. Our culture encourages employees to take on more responsibility and grow with the company." Kapani believes the increasing demand for real-time access to data is the greatest impetus behind the company's technology strategies. "High-quality, trusted data is more in demand than ever due to a host of drivers — greater regulatory and risk management requirements, industry standardization of products for electronic trading and clearing, increasing indexation, passive investing growth, market fragmentation and growth in algorithms and quantitatively-driven programs," he said. "That increased need for data is sparking a related need for technology that organizes data inputs, supports real-time market analysis and integrates access and connectivity worldwide. Customers want and need data anytime, anywhere, so it's important to be able to access data across multiple devices." Early on, Kapani knew he wanted to study technology. He holds a Bachelors of Technology degree from the Indian Institute of Technology Kharagpur and also completed the Wharton Management Program at the University of Pennsylvania. He is quick to point out that over the years he has been able to learn both from bosses and members of his team. "I've been fortunate that over the years, I was able to learn from a lot of great people," he explained. "I want to foster constant learning and development, especially given the fast pace and changing environment that we live in today. We are committed to ongoing learning, training and career development and continuing that is very important to me." Current and former colleagues also speak to the lasting impressions he leaves on them, his ability to teach and mentor and his high degree of integrity. Kapani believes that the values inherent in the Intercontinental Exchange culture are values to teach to others, including his two children. He mentors high school students in Marietta, Georgia, who are part of the school's robotics teams. "It's important today to encourage young people to be excited about science and technology because they are our future job candidates and future leaders. They are the people companies like ours will be recruiting to develop the next wave of technology to serve customers," he said.